A comparison of the original (right) and rebuilt ends of the class 153 units which were converted from 2-car class 155s in 1991-1992. 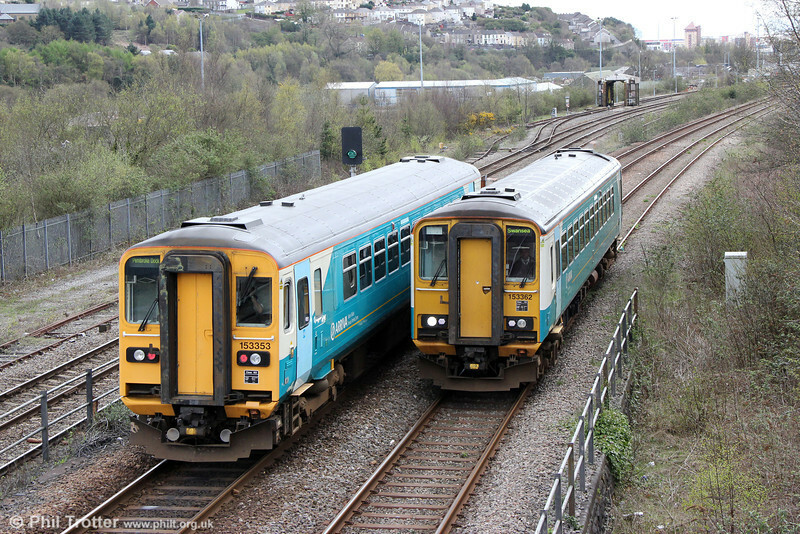 153353 and 153362 pass at Swansea Loop East on 27th April 2013. 153353 was forming 2E13, 1109 Pembroke Dock to Swansea while 153362 was forming 2M57, 1316 Swansea to Shrewsbury; both show destinations for services in the opposite directions!